Your child’s smile is probably the most precious thing in the world to you, so of course, you want to do everything you can to take care of it. Early-age dental appointments are essential to making sure your child’s smile develops correctly and stays healthy as they grow, and at Legacy Trails Dental, we’re ready to take on that responsibility. Every member of our team has spent countless hours helping children, so when you come to see us, you can trust that we’ll be able to serve their smile and ensure their comfort at the same time. 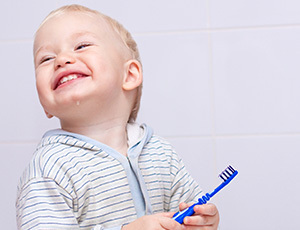 We recommend that children should start visiting the dentist as soon as their first teeth start to come in, or at least by their first birthday. These early appointments will give our team the chance to make sure their teeth are coming in properly. Plus, should we spot any issues, treatment at a young age will be much simpler and faster than waiting till later. What Will Their First Appointment Be Like? We take extra special care when little patients come to see us for the first time so we can start their dental experience off on the right foot. By making sure they have a positive time, this will make going to the dentist much easier throughout their entire life. You’ll be able to stay with them the entire time, and after being greeted by our friendly team, they’ll be given a brief tour of the office so they can meet everyone and start to acclimate to their new surroundings. They’ll then get to meet their dentist, who will take a few minutes to get to know them before performing a brief cleaning and oral exam. 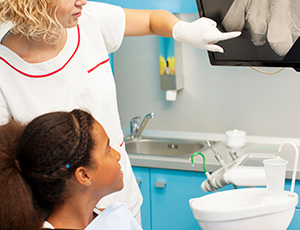 From there, they’ll discuss with you how to take care of your child’s new smile. You’ll have a chance to ask any questions you like, and so will your child. At Legacy Trails Dental, we love serving entire families, and that includes your littlest smiles. To learn more about our pediatric services or to schedule an appointment, please contact us today.